Zurich Ambassador Justin Rose recorded rounds of 69-66-65-66—266 (22-under) to win in 2015 by a stroke over Cameron Tringale. His winning score of 266 is the lowest at the 2015 Zurich Classic since Vijay Singh posted the same score in 2004. Rose finished birdie-birdie and played the final 66 holes without a bogey. Rose has made 10 starts at the Zurich Classic of New Orleans and has finished in the top-15 in his last four appearances at TPC Louisiana (T10/2012, T15/2013, T8/2014, 1/2015). Rose has at least one PGA TOUR victory in six consecutive seasons (2010-2015), second only to Dustin Johnson’s current total of eight straight seasons with a victory (2008-2015). Rose has 16 consecutive sub-par rounds at TPC Louisiana. Dating to 2012, Rose is 60-under-par at TPC Louisiana. Justin Rose is one of six international winners of the Zurich Classic since 2000, and the second consecutive international winner at TPC Louisiana (2015/Justin Rose/England, 2014/Seung-Yul Noh/South Korea, 2008/Andres Romero/Argentina, 2004/Vijay Singh/Fiji, 2002/K.J. Choi/South Korea, 2000/Carlos Franco/Paraguay). Rose is one of eleven major champions in the field this week. Rose has $2,006,170 in career earnings at the Zurich Classic of New Orleans. While 24 players have amassed more than $1,000,000 each at this event, Rose is the only player with more than $2,000,000. Two FedExCup champions are in the field: Billy Horschel (2014) and Vijay Singh (2008). 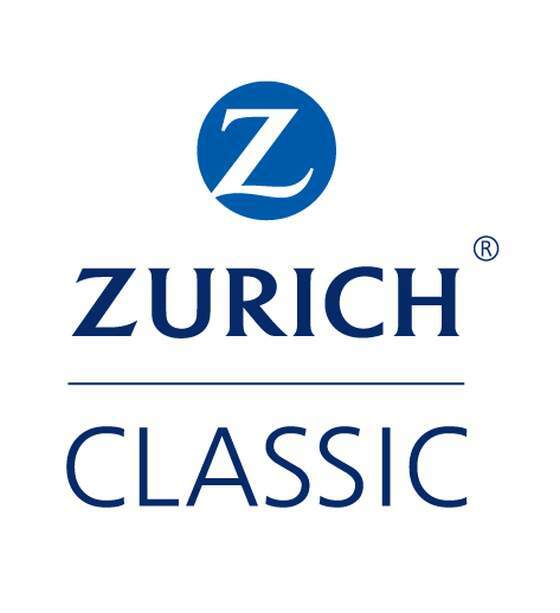 Six of the nine winners of the Zurich Classic of New Orleans have gone on to qualify for the season finale, the TOUR Championship by Coca-Cola: Andres Romero (2008), Jerry Kelly (2009), Bubba Watson (2011), Jason Dufner (2012), Billy Horschel (2013) and Justin Rose (2015). Two players making the largest jumps in the FedExCup standings at the Valero Texas Open were champion Charley Hoffman (up 74 spots from No. 92 to No. 18) and Chad Collins (70 spots from No. 202 to No. 132) with a tie for third. Both players are in this week’s Zurich Classic field. Six of the top 30 in the FedExCup standings are in the field led by Jason Day, currently in second. Wednesday, April 27th marks 100 days until the opening ceremonies for Rio 2016. Eleven players in the Zurich Classic field are currently inside the top 60 in the Olympic Golf Ranking: Byeong-Hun An (Korea), Alex Cejka (Germany), Jason Day (Australia), Rickie Fowler (United States), Brendon de Jonge (Zimbabwe), David Hearn (Canada), Ahriban Lahiri (India), Danny Lee (New Zealand), Carlos Ortiz (Mexico), Justin Rose (Great Britain) and Jhonattan Vegas (Venezuela). Six of the top 30 in the FedExCup standings, highlighted by Jason Day who is in second place in the standings behind Adam Scott. Others in the top 30: Smylie Kaufman (11), Charley Hoffman (18), Rickie Fowler (23), Charles Howell III (26) and Jason Bohn (29). Three of the top 10 in the Official World Golf Ranking: Jason Day (No. 1), Rickie Fowler (No. 5) and Justin Rose (No. 10) and 10 of the top 50. Four of this season’s PGA TOUR winners: Smylie Kaufman (Shriners Hospitals for Children Open), Vaughn Taylor (AT&T Pebble Beach National Pro-Am), Jason Day (Arnold Palmer Invitational and WGC Dell Match Play) and Charley Hoffman (Valero Texas Open). Held the solo 36-hole lead, and shared the 54-hole lead with Justin Rose at last year’s Zurich Classic of New Orleans before finishing T4 with four sub-70 rounds. Second in the current FedExCup standings. Won the 2016 Arnold Palmer Invitational Presented by MasterCard in wire-to-wire fashion, the only player to do so this season. Day was also the last player to win wire-to-wire on TOUR, at the 2015 BMW Championship. Sits second in the FedExCup standings. Recently reclaimed the No. 1 position in the Official World Golf Ranking when he defeated Brooks Koepka in the Quarterfinals of the 2016 World Golf Championships-Dell Match Play, an event he won, defeating Louis Oosthuizen in the final, 5 and 4. Making his sixth consecutive appearance in the Zurich Classic. Best finish is T10 in 2012 but has missed the cut the last two years. Has five top-10s in ten starts with a playoff loss to Hideki Matsuyama at the Waste Management Phoenix Open his best result this season. Ranked No. 5 in the Official World Golf Ranking and 23rd in the FedExCup standings. LSU graduate played with Jordan Spieth in the final pairing final round at the Masters this year and finished T29, posting a final-round 81. Father Jeff and mother Pam both played collegiately at LSU. No. 11 in the FedExCup standings and No. 48 in the Official World Ranking. In second start as a PGA TOUR rookie last fall, the Shriners Hospitals for Children Open on the PGA TOUR with a final-round 61. At The Honda Classic in February he withdrew after two rounds feeling ill. It was discovered Bohn had suffered a heart attack and was lucky to survive according to his doctor. Posted three top-3 finishes in his first four starts this season (T3/Frys.com Open, T2/Shriners Hospitals for Children Open, P2/OHL Classic at Mayakoba) and made his return two weeks ago at the RBC Heritage where he finished T69. His 2010 victory at TPC Louisiana is his only top-10 finish in nine appearances at this event. Is one of eight wire-to-wire winners of the Zurich Classic (most recent is Bubba Watson in 2011). 29th in the FedExCup standings. Recently named captain of U.S. Presidents Cup Team to be held in 2017 at Liberty National Golf Club in New Jersey. Winner of 12 PGA TOUR events will make his 457th TOUR start, and eighth start this season at Zurich Classic. Each of his opening rounds in his seven starts this season have been par or better with an average of 70.14. Best result this season is T7 at Valspar Championship. Making his 15th start in the Zurich Classic where he has three top-10s (T4/2000, T7/2009, 6th/2012). Won the Zurich Classic in 2002, the first of eight PGA TOUR victories. Also finished T3 in 2011, T7 in 2004. Will make his 12th appearance this week after a T36 result last year. Recorded two top-five finishes in 11 starts this season (2/Farmers Insurance Open, T5/Northern Trust Open). Currently third-highest ranked South Korean on the Official World Golf Ranking (101st) and seeking to represent his country in the 2016 Olympic Games as a player (currently team captain). The Zurich Classic of New Orleans is the penultimate PGA TOUR event for players, not previously eligible, to earn a start in THE PLAYERS in one of three ways: 1) moving into the top 50 in the Official World Golf Ranking; 2) winning the Zurich Classic of New Orleans; and 3) moving into the top 10 in the FedExCup standings. The Zurich Classic of New Orleans champion has been decided either by one stroke or in a playoff ten times since 2003. In 2014, Seung-Yul Noh won by two strokes, Nick Watney (2007) won by three strokes and Jason Bohn (2010) won by two shots. The 2012 playoff between Jason Dufner and Ernie Els was the 12th in the history of the event. Since 1990, 15 players have made the Zurich Classic of New Orleans their maiden victory on the PGA TOUR, including seven of the past 11 champions; Seung-Yul Noh (2014), Billy Horschel (2013), Jason Dufner (2012), Andres Romero (2008), Nick Watney (2007), Chris Couch (2006) and Tim Petrovic (2005). TPC Louisiana is the fifth of 11 TPC venues to host PGA TOUR events this season. It’s also the fourth of six Pete Dye designs on TOUR in 2015-16 (seven, if Dye’s re-design of TPC River Highlands is included). Wednesday of tournament week (April 27) marks 100 days until the opening ceremony of the Olympic Games in Rio. With golf returning to the Olympics for the first time since 1904, the Final Olympic Rankings on July 11 will determine which players will compete. Since 2000, no player has successfully defended his title at the Zurich Classic of New Orleans, and just two have followed their win with a top-20 finish the following year: Bubba Watson in 2012 with a T18, and David Toms with a T9 in 2002. David Toms – Shreveport resident and former LSU Tiger will be making his 23rd start in the event, with a victory in 2001 at English Turn G&CC. Scoring average of 70.82 in 76 rounds played in this event. Smylie Kaufman – LSU graduate won in his second start on TOUR at the Shriners Hospitals for Children Open with a final-round 61. Played with Jordan Spieth in the final at the Masters this year and finished T29. No. 48 in the Official World Ranking. Michael Thompson – Former Tulane University undergrad, who transferred to University of Alabama following Hurricane Katrina. Thompson claimed his first career PGA TOUR in 2013 at The Honda Classic. Andrew Loupe – Baton Rouge native and LSU grad (2011) will be making his fourth start in the Zurich Classic of New Orleans (T52/2014, MC/2011, MC/2015). Posted a T3 at the 2016 CareerBuilder Challenge for his best finish on TOUR. Since 1958, the Fore!Kids Foundation has raised money to fund children’s service organizations through golf events like the Zurich Classic of New Orleans, the Golf Ball Gala and several charitable golf tournaments. As a 501(c)(3) corporation, Fore!Kids has helped to raise more than $30 million to date for children’s charities in metro New Orleans and Baton Rouge.